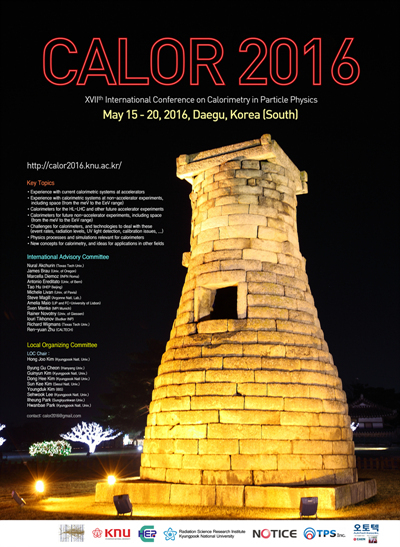 Thank you for being part of the CALOR 2016! Thank you for a great 5 days of sharing and inspiration. We hope that you continue to be engaged with CALOR and stay tuned for the next CALOR, 2018! Due to many request, Full Paper submission deadline has been extended from June 20 to July 11! Please save the date as there will be no more extension after. Further question regarding proceeding, please feel free to contact Secretariat (calor2016@gmail.com).